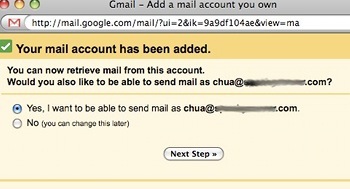 Google allows users to setup Gmail to receive email from other email accounts. Eg: You can receive your company email (mike@mycompany.co.za) using Gmail. You can setup a maximum of 5 other email accounts in Gmail. First logon to your Gmail account and click on “Settings” at the top right corner. Once on the “Settings” page, click on the “Account and Import” tab. 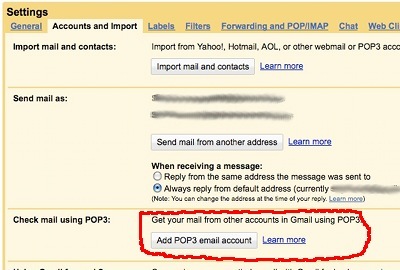 Click on the “Add POP3 email account”, under the “Check mail using POP3” section. A new window will popup where you enter the email account that you want to receive email using Gmail and click “Next step”. eg. mike@mycompany.com (** please disable your popup blocker or allow Gmail to popup). Now, enter your username, password and POP3 server location. 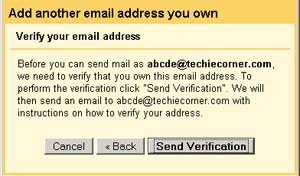 If you wish to leave your email on the original server, then you can to tick “Leave a copy of the retrieved message on the server” but reccomend deleting the emails from the server to keep it clean.For security purposes, you may tick the “Always use a secure connection (SSL) ….” and finally tick the “Label incoming message…” for easy indication in inbox. Once everything is completed, click on “Add Account”. * If you do not know what’s your POP3 Server, you may consult your server admin. ** some servers do not support SSL, then you have to just untick the SSL connection features. Done. 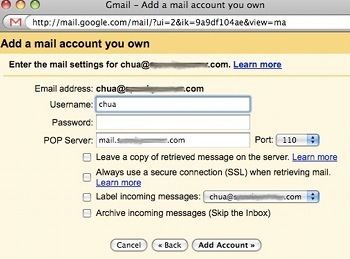 You’ve just added a new POP3 email account in GMail. Once everything done, go back to your “Settings” page and you will see your new email accountunder “Check mail using POP3:”. You may click on the “Check mail now” link to receive your other email. Happy emailing! 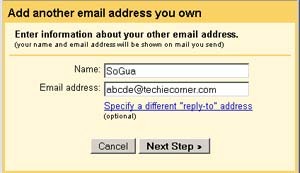 A friend need to send email from different address via Gmail. He have many email address and need once place for him to send email from different address. So he ask me is there is anyway to send email from different address in GMail. 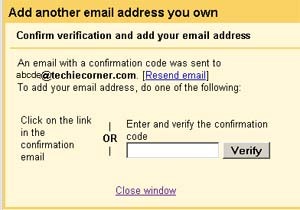 By default, Gmail allow you to send email using different address, but need some verification before you can send from different address.